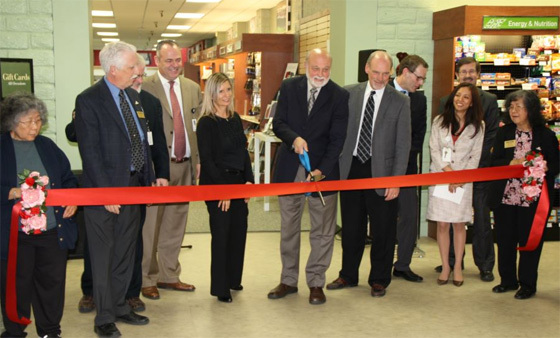 Dignitaries attending The Campus Store at Loma Linda University bookstore grand opening include (from L to R) Phil Carlisle, Dr. Ron Carter, Rod Neal, Denise Nakakihara, Dr. Richard Hart, Kevin Lang, Russell Markman, Angela Lalas and Gary Nelson. 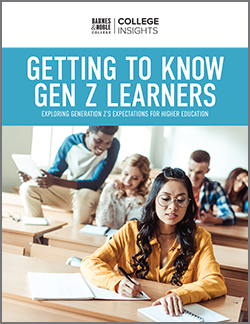 Loma Linda University (LLU), the small, private health and sciences university in San Bernardino County that turns out top-notch graduates in the fields of science and medicine now has a first-class bookstore to support its campus. The private, four-year Seventh-day Adventist university recently partnered with Barnes & Noble College to operate The Campus Store at Loma Linda University. 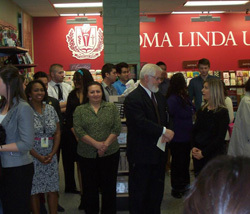 To mark the redesign and total renovation of the bookstore, a grand opening celebration was held. View of the new Tech Store within the The Campus Store at Loma Linda University. In addition to the items students found in the previous store, the new space offers a variety of textbook options (new, used, rental and digital), school and medical supplies, snacks, university gift items, and boasts one of the largest assortment of medical reference books of any university in the state of California. 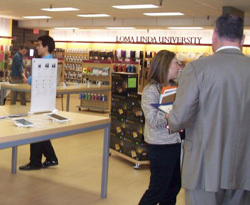 The store also houses a Spirit Shop selling Loma Linda University apparel and a Tech Store, selling the latest computers, computer accessories, NOOK® readers and tablets. The store also added a “campus living room” for general reading with comfy seating for students to read and study. The Loma Linda University community turned out for the grand opening celebration of The Campus Store at Loma Linda University. 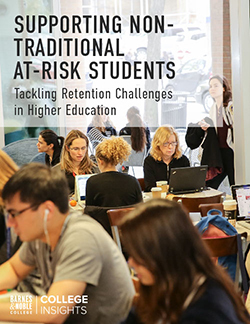 Hubbard added that what impressed the University the most about Barnes & Noble College is its commitment to collaborate with the campus to create a retail space that is reflective of the culture and methodologies of Loma Linda. He said that Barnes & Noble’s renovation to The Campus Store has completely changed the image of the bookstore while still maintaining Loma Linda’s spirit and personality.